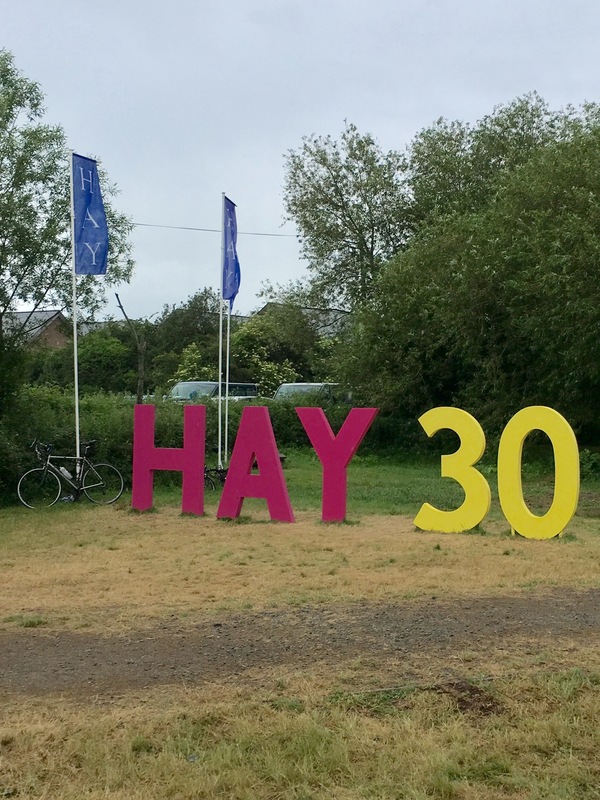 This year marks 30 years of the Hay Festival, a literary event that takes place in the picturesque town of Hay-on-wye in Wales. The festival has drawn a range of big names in the past, including Nobel Prize winners, scientists and politicians, as well as musicians and authors. 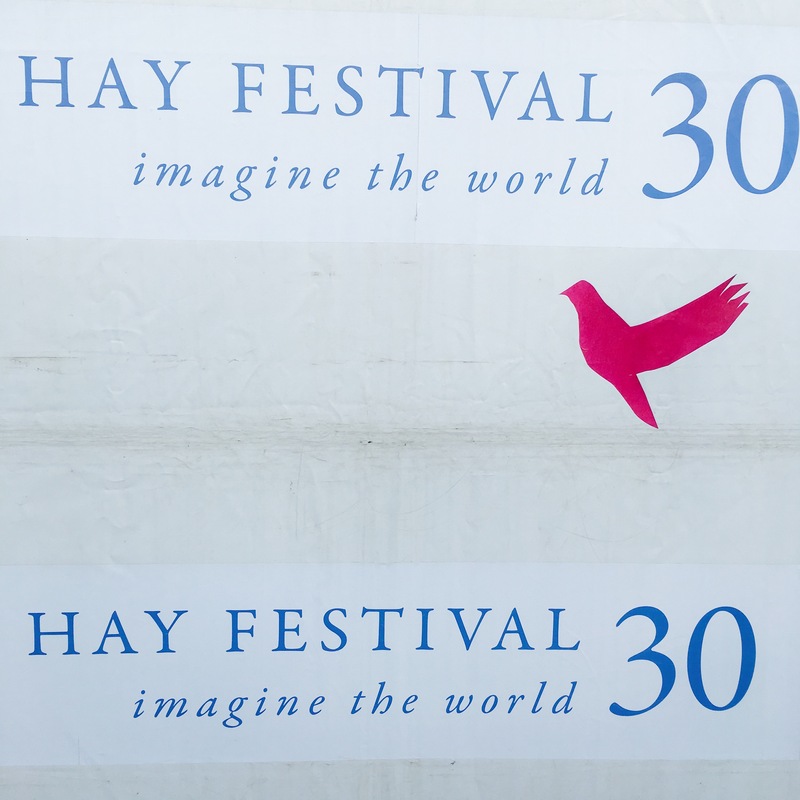 The Hay Festival promotes diversity, cultural change and progressive thinking, which has led to its success as one of the UK’s top literary events. This year’s event took place from May 25th-June 4th and I attended a variety of talks, which were equally enlightening and entertaining. 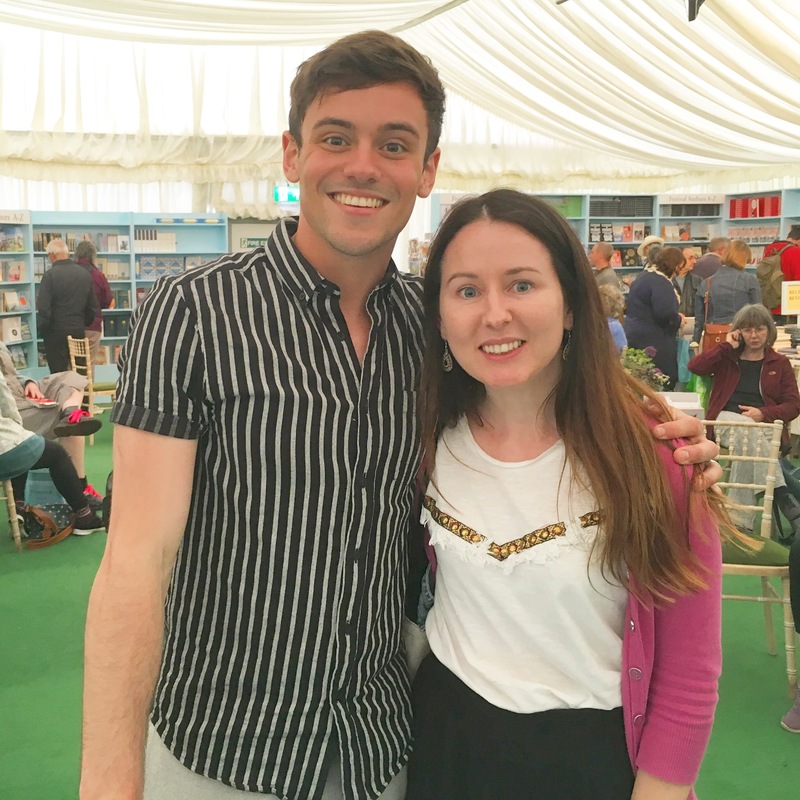 I was lucky enough to receive VIP tickets from Anne of @addymanbooks to see Tom Daly, who was discussing his new recipe book Tom’s Daily Plan. My companion for the day was @bee_andmy_barefoot_tribe and off we went on our exciting road trip. Once we arrived, we popped in to see Anne at the Addyman Annexe to pick up our tickets before heading off down to the main site. We indulged in a coffee and a quick look around before it was time for Tom’s talk. We had arranged to meet Anne in the artists’ area, where we spotted Stephen Fry casually sitting on a couch chatting with his companions! Once we met Anne and her friends, we received some delicious Prosecco before Graham Norton sat down at the table next to us with a jacket potato! It was quite an exciting start to the evening! Soon we were escorted to our front row seats and became engrossed in Tom Daly, who proved to be an excellent and eloquent speaker. He discussed his love of food and how he took a cookery course during his teenage years. As an Olympian athlete, Tom clearly has the correct criteria to promote healthy eating and his recipe book is full of easy and fuss free recipes. He acknowledged his sweet tooth and is realistic about food habits, admitting to his love of cheesecake and cookies. He includes a range of desserts in his book and creates a healthy twist on some old favourites. He also addressed the issue of affordability and availability during his talk and stated that all of the ingredients for his recipes can be bought at any local shop rather than an expensive health food store. While I enjoy the latest craze for clean eating, I will admit that price can be a factor when it comes to some of the recipes in the healthy living recipe books that I currently own, so it was refreshing to hear that Tom recognised the need for recipes that don’t alienate a large proportion of the public. As well as discussing food and fitness, Tom spoke at length about mindfulness and meditation. He highlighted the need for quality time for rest and relaxation and the importance of time management and achieving goals. He also gave an honest account about his struggles and disappointments during the 2012 Olympics and his ambitions for the next Olympic Games. He spoke openly about the death of his father and the contentment of being a newly wed was obvious on his face whenever he mentioned his husband Lance. He also took questions from the crowd, which consisted mainly of children who were looking for advice on juggling school and sport, as well as questioning him about the Olympics and his future plans. It was wonderful to hear so many intelligent questions from children of such a young age and Tom answered them all with careful and considerable thought. I enjoyed the talk so much more than I expected to and he came across as such a mature man considering he is only twenty-three years old. I went to get my book signed afterwards and Tom was so friendly and enthusiastic with everyone in the queue and it was a pleasure to meet him. Afterwards, we strolled back to town and looked for somewhere to eat. We ended up at a pop up version of Herefordshire’s A Rule Of Tum and shared a juicy beef burger, falafel burger and a portion of chips for a very reasonable price. We were ravenous by that point and devoured our meal, which was delicious and a lovely way to end the evening. I returned to Hay-on-wye the following weekend and had a reunion with @dannii.elle.reads who I met at the @bookstagramhay Meet Up a few months ago. 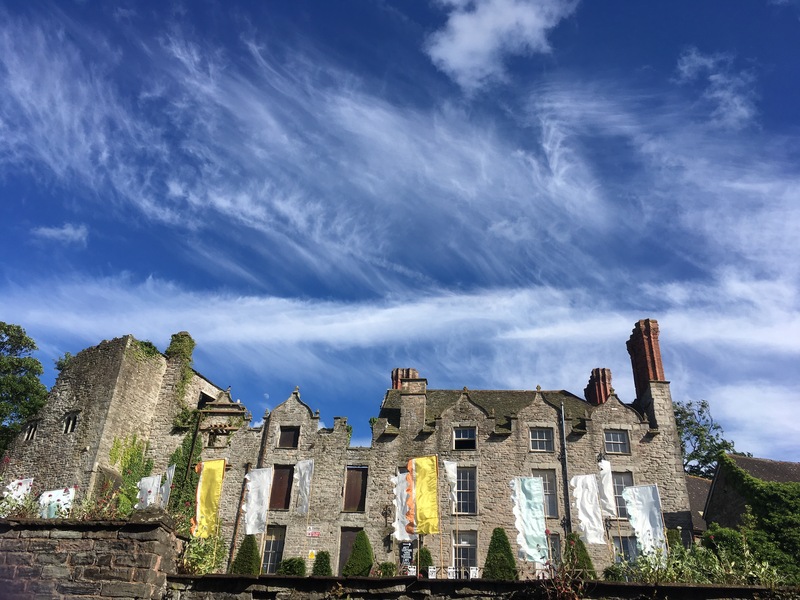 Hay-on-wye is the kind of town where you don’t even need to arrange a place or time to meet up because you know you will just bump into each other, which is precisely what we did at the @haycastletrust. It was great to catch up again with Dannii as well as getting to meet her lovely family. Naturally, much of our conversation was book related and we also discussed our upcoming Mystery Meet weekend in London, which looks set to be another great Bookstagram Meet Up. Afterwards, I went to see director Roger Michell, who was discussing his version of Daphne DuMaurier’s My Cousin Rachel. He was quite humble regarding film adaptations and admitted that the best adaptation will always be the one in the reader’s own imagination. He referred to the aspect of the unreliable narrator in the novel and how he emphasised this in the film. He also spoke about DuMaurier’s influence and inspiration while making the film and praised her body of work, describing her as ahead of her time regarding feminism and sexuality. 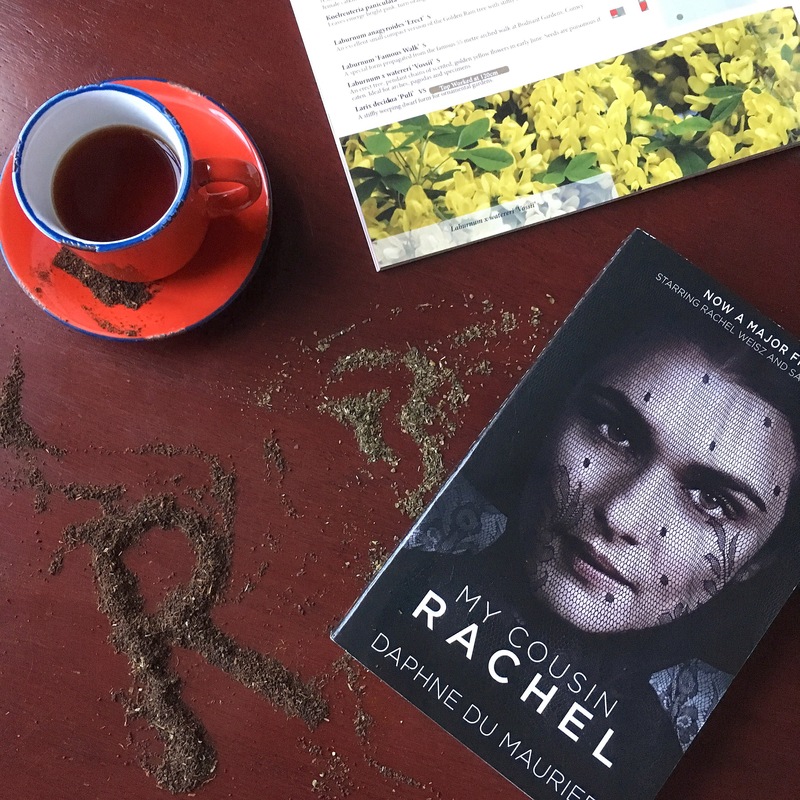 He suggested that much of this was to do with DuMaurier’s own struggles with her sexuality and highlighted that perhaps the character of Rachel appears as a threat to the men in the novel simply because of her independence. I was lucky enough to meet the director after his talk as he was signing copies of DuMaurier’s book. I recently read the novel, which had me guessing until the very last page. I have since seen the film and I must admit that I much prefer the book. In between events, I became drawn to a crowd gathered in one of the coffee shops on the site. It emerged that the live screening of the Bernie Sanders talk was taking place and so I stood with a coffee and became just as enthralled as the people around me. The talk was hosted by Welsh actor Michael Sheen and the topics of discussion had many people voicing and cheering their agreement. I could have stood there for hours listening to such an absorbing debate, but I managed to tear myself away for the next event. 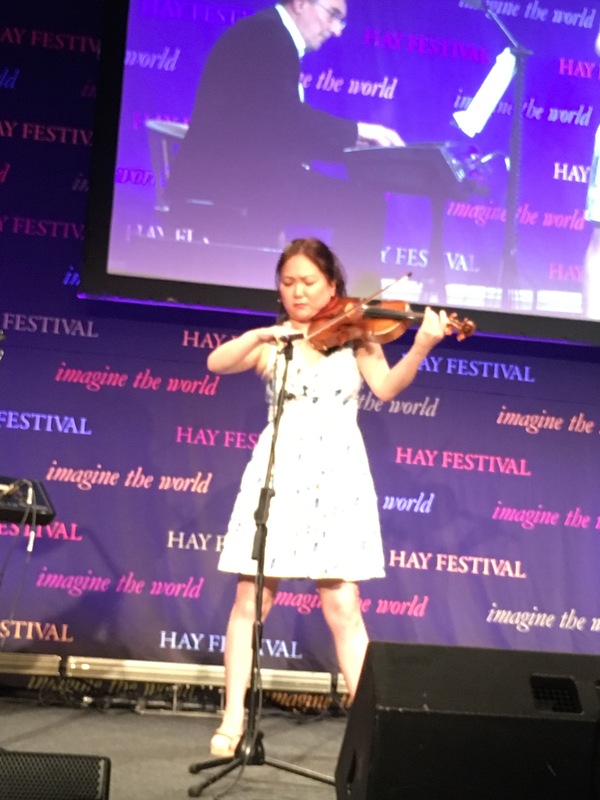 World renowned violinist and child prodigy Min Kym was the next speaker on my itinerary and she did not disappoint. I received a copy of Min Kym’s memoir Gone at the @bookstagramhay Meet Up and I had happened to be reading it when I discovered that Min Kym was going to be speaking at the Hay Festival, so I just had to get a ticket. Gone is a fantastic book that tells of the theft of Kym’s violin at a train station café in London and how her life crumbles as a result. It is a story of loss and betrayal, but also hope and self-discovery. Kym spoke in-depth about how much her life was affected by the theft of her beloved violin, a rare 1696 Stradivarius. The loss of her instrument left her feeling bereft and she described it as being akin to a death. While this may sound extreme, such strong emotions become clear upon reading Kym’s book. Kym’s violin becomes alive through her style of writing and feels like another character in the story. I enjoy classical music, but I would not claim to have an extensive range of knowledge in this genre. However, I learned so much about music from this book, which is informative without just reeling off facts and figures. Kym read an extract from her book as well as treating us to some live performances, which were truly incredible. One performance moved me to tears, which I honestly did not expect. Kym became a completely different person when she performed, becoming immersed in the music as she played. Before her talk, I had expected a meek and mild character because of certain events in the book, but instead I discovered a bright and bubbly personality. I was lucky enough to meet Kym afterwards and get my book signed. The evening ended with another catch up back at Addyman Books with Anne and I must extend a huge thanks to Anne for the Tom Daly tickets. It was the perfect start to a brilliant couple of weekends at the festival and I’m already looking forward to next year! Wonder Woman has been one of my favourite characters ever since I’ve been a little girl. I used to watch the series on a Saturday morning and I recall spinning around just like my heroine in the hope that I too would turn into Wonder Woman. If only! The film adaptation has been many decades in fruition, with Sandra Bullock a possible casting contender in one concept. While I am still intrigued by the idea of one of my favourite actresses in this role, I’m pleased to say that the long wait for this movie has been worth it. The film opens with a sly nod to the DC universe before moving to the hidden island of Themyscira, home of the Amazon warriors. Here, we are introduced to Diana as the sole child on the island, where she dreams of becoming a warrior just like the rest of the female only tribe. While her mother (Connie Nielson) and Queen of the island is reluctant for Diana to follow in her footsteps, her aunt Antiope (Robin Wright) goes ahead and gives her private training on fighting tactics. Eventually, Queen Hippolyta relents once she discovers the secret lessons and hints at the mysterious origins behind Diana’s birth. The catalyst for the movie’s events occur when spy Steve Trevor (Chris Pine) penetrates the shield protecting the island from the outside world by crashing in his plane. In a refreshing gender role reversal twist, he is rescued by Diana, who is no damsel in distress. Once Diana learns of World War I in the outside world, she is certain that it is the work of Ares, the god of war. She vows to defeat Ares by joining Steve on his mission and once she enters her unknown surroundings, her alter ego Diana Prince is born. The casting of relative unknown Israeli Gal Gadot as Wonder Woman is a more accurate incarnation of an Amazonian goddess and stays true to its comic book origins. Gadot excels in the role and is the epitome of what I hoped to find in this new version. The actress has a remarkable essence that displays all the traits of nobility, truth and morality required in a superhero, often seen in just her expressions and mannerisms. 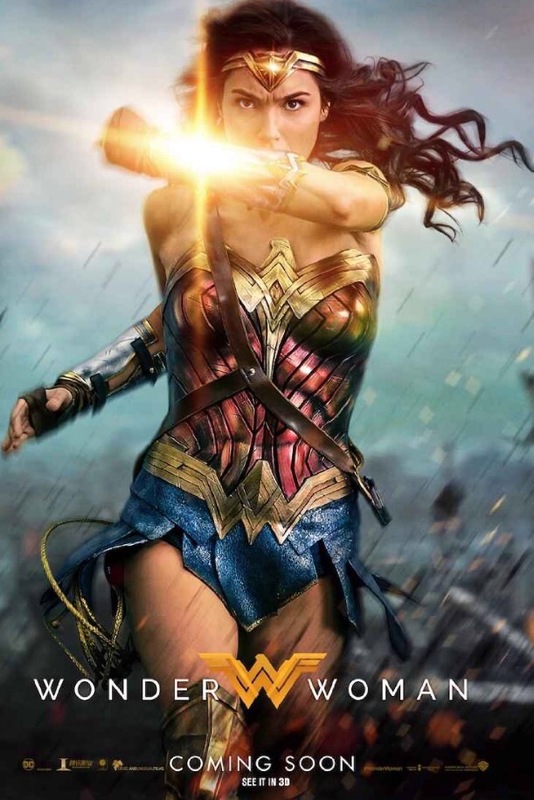 The moment that Wonder Woman finally springs into action and reveals her costume is the defining scene of the movie and sure to bring a thrill of excitement to every true fan. 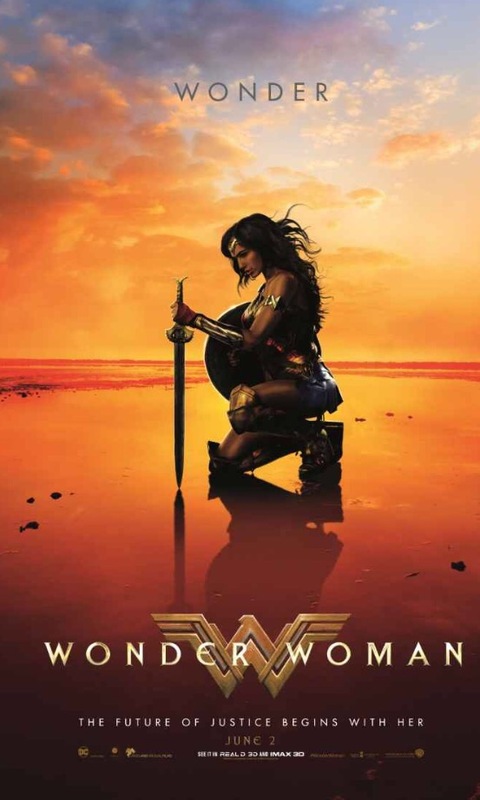 Despite DC’s dark reputation, Wonder Woman is full of comedic touches, which enhances the enjoyment of the movie. Gadot and Pine provide much light relief with their banter, although the romance element of the story feels rather contrived. However, it is only a minor part of the plot and does prove to be an essential story device. Supporting actors include David Thewlis, Ewan Bremner and Lucy Davis, who is almost unrecognisable in her role as Steve’s secretary. The historical setting is an interesting choice, yet remains relevant in this current climate, as well as highlighting many of the movie’s themes regarding humanity. The movie questions the darkness within man and the cruel nature of the human race and emphasises the injustices and atrocities committed throughout history, alluding to issues of race and immigration. Ultimately, the film spreads the positive message that only hope and love can truly save the world. 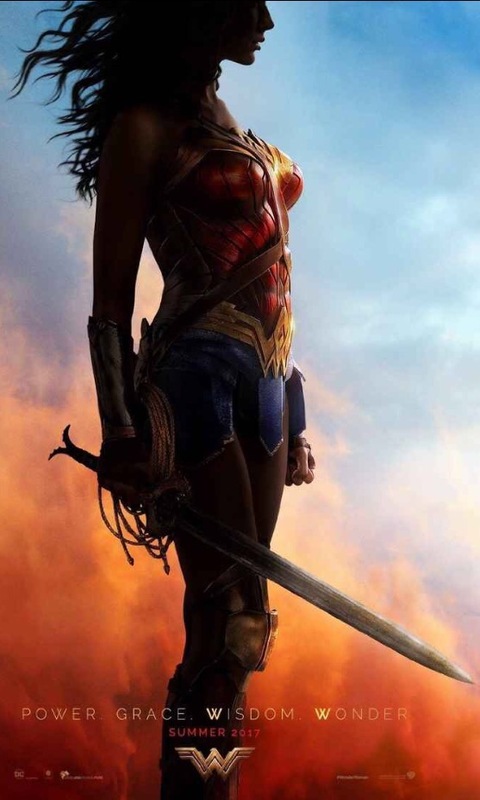 After her appearance in the poorly received Batman v Superman: Dawn of Justice, the initial set up to Wonder Woman’s back story is complete in this film, paving the way for an exciting sequel. Director Patty Jenkins has confirmed that the next instalment will take place in the US. The movie has smashed box office records in its opening weekend and has been widely praised by critics and fans. To see a female heroine dominate the charts demonstrates the public’s demand for strong female characters. Wonder Woman’s kind traits show that she is a positive role model who deserves to rule the film world for many years to come.